The Citizen’s Advisory Council meeting was Thursday night, June 18th. While I wasn’t able to personally attend, Jonah Goodman was nice enough to share his notes from the meeting. As always, if you everything should be taken as recollection of the reporter and any mistakes are ours, and if you disagree with the content, that’s MPD’s fault. ;) Anything marked “Ed:” and in italics are Drew's comments. Big thanks to Jonah for his help. - Commander has two crime suppression teams deployed specifically targeting 3rd and Upshur area and Kennedy St area. These are additional resources, cars, possibly mountain bike police. - Commander Manlapaz is having units walk through alleys, writing tickets for violations. Specifically mentioned they will be ticketing cars parked illegally in alleys but will ask people to move cars first if they can find the owners. ANC 4D Commissioner David Sheon asked about shots fired at Gallatin and 9th and if the Kennedy crime suppression unit should fan out wider. the Commander basically said no, they have to work in compact areas so their resources are not spread thin. Another attendee asked if the Commander sees crime increasing on the Eastern Ave boarder and if there should be a crime suppression unit there. Commander Manlapaz said crime is not up there and he is in regular contact with the Takoma Commander on the other side. Jonah Goodman told the Commander that he has had a few neighbors coming to him, after posting the shooting map link, sharing addresses, names, and drug/gun info because they don't believe PSA 407 / 911 are doing anything. Goodman wanted to ensure that the Commander was aware that there is a lack of trust when we are constantly told to call 911 and yet nothing ever seems to happen. Commander Manlapaz said he can't arrest people on assumptions about what is in their houses. Goodman response that a neighbor told him that guns had been kept outside in the wheel wells of cars. The Commander then asked to have people contact him directly. I reiterated that they lost faith and he should figure out some sort of community engagement solution if he wants to get leads. Michael Aniton and Robert White spoke. Apparently AG Racine was suppose to come but couldn't make the meeting. Juvenile justice: focusing on low level non violent crime going away from court and into diversion programs. Hired special counsel to revamp juvenile justice. OAG has a $50 million budget, but their work results in revenue/savings in billions to the city. They have requested more money but likely not getting it this budget cycle. They have also asked for a percent of the funds they recover through their work and appears they may get a small portion. OAG also stressed they get involved in neighborhoods and victim services work. Both OAG reps are Ward 4 residents and stressed they want to live in a safe neighborhood and are living here with us. Nuisance property: contact AG for guns, drugs, and prostitution complaints. They can go after these properties in civil court. They stressed they are a partner with MPD but that they can work different angles. Micheal Aniton specifically called out my question about 4th and Taylor residents not believing MPD is responsive to gun crime and said we should work with him. Aniton and White also stressed using Community Affidavits, which are when neighbors go to the AG and give a sworn statement about situations. These stay sealed and only the judge has access to read them. He said judges like to see neighbors involved when they feel their neighborhood is unsafe or quality of life is down. Synthetic drugs: four open cases in fourth district. They are going after owners trying to force agreements where the shops have required video surveillance in store, where businesses are firing managers, etc. He brought up Riyad Market and said the DEA is involved now. They go to trial July 14 to attempt to evict the tenant. (Ed: Yes! Close this awful place and let's get a business that wants to be a good neighbor.) Attendees asked why was it allowed to stay open unlike night club which can be shut down for 96 hours by police order. They said it is a combination of laws that need changing, and are being worked on by Council/Mayor, that the DEA has to test the drugs for proof and synthetics change so rapidly it can be hard for to get the DEA focused on testing, but they are involved now. A neighbor asked about volunteers to help with OAG with budget challenges. They mentioned a plan to use senior citizens, college students. This wasn't really clear. There was a question about unlicensed group houses that are nuisance / drug properties. They said definitely contact OAG and they can go after them. Jackson Carnes, Constituent Services Director for Councilmember Todd spoke very briefly. Just said CM is in regular contact with commander. Khalil Thompson (Ward 4 liaison for the mayor’s office), similarly gave a very short one line update. Said they did a neighborhood walk on upper Georgia. The meeting was running very long so they opted to be brief intentionally. Baretta Francis from USAG talked about their youth summit June 26th. US attorney Vincent Cohen will be present and will focus on Internet safety, gun safety. 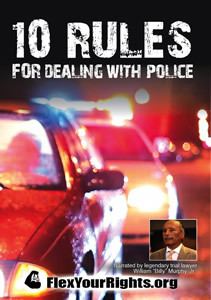 Open to 8 - 21 year olds who will be taught to know their rights and interaction with police.